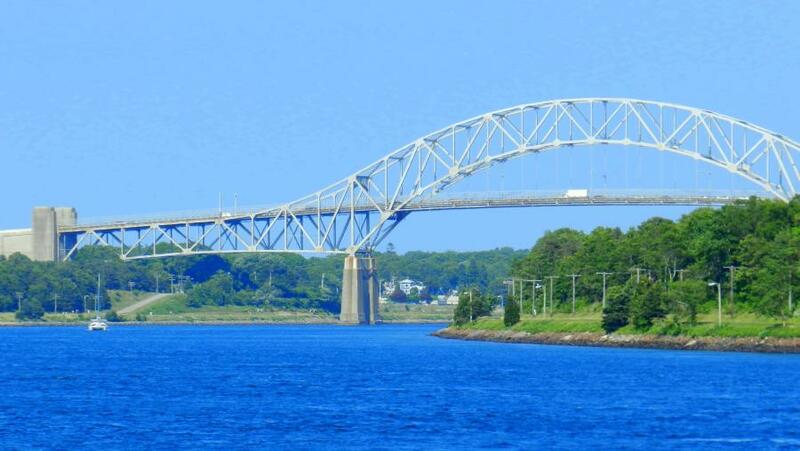 Maintenance work on the Bourne Bridge spanning the Cape Cod Canal in Bourne, Mass., began on March 25, 2019 and will continue through late May 2019, according to U.S. Army Corps of Engineers (USACE), New England District officials. During the work, travel over the Bourne Bridge will be reduced from two lanes in each direction to one wider 12-ft. lane in each direction. State and local police will be on duty at all times work is being performed to assist the motoring public. This bridge work is critical to maintaining the structural integrity of the bridges, which are a vital component to the transportation system of Cape Cod, the Islands and southeastern Massachusetts. Work will include the replacement of bridge joints on the roadway; repair of deteriorated steel and concrete; patching of damaged pavement surfaces; and replacement of waterproof membranes. Work crews also will perform maintenance work on the bridge lighting and drainage systems during this timeframe. For more information, visit www.usace.army.mil.